Tonight at 9PM EST/6PM PST, “JEK III Productions” presents another packed edition of “The Pugilist KOrner”!! The two hour program will feature two time “Trainer of the Year” Robert Garcia, Kronk Gym trainer Javan “Sugar“ Hill, Junior Welterweight prospect Thomas Dulorme, talented young trainer Sam Garcia, and Super Flyweight prospect Bruno Escalante. Kicking off tonight’s program will be Oxnard, California based trainer Robert Garcia. The two time trainer of the year will discuss the upcoming Marcos Maidana/Floyd Mayweather Jr. special event, which will go down on May 3rd in Las Vegas, Nevada. Robert will also discuss the future of Mikey Garcia, Brandon Rios, Nonito Donaire, IBF Featherweight title holder Evgeny Gradovich, and many other talented fighters in his stable. Making his way back to the show will be one of the more talented young trainers in boxing, Javan “Sugar” Hill. The Kronk Gym legacy will help us break down this weekend’s big match-up in Las Vegas, Nevada, between Canelo Alvarez and Alfredo Angulo, as well as Saturday night’s co-main event with IBF Junior Middleweight Champion Carlos Molina and Jermall Charlo, which is slated to be broadcast on Showtime PPV. 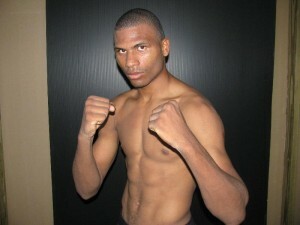 Appearing on “The Pugilist KOrner” for the first time will be Junior Welterweight prospect Thomas Dulorme (20-1, 14 KOs). The Puerto Rican born puncher will talk about his upcoming bout with fellow young gun Karim Mayfield on March 29th, at the Boardwalk Hall in Atlantic City, New Jersey. 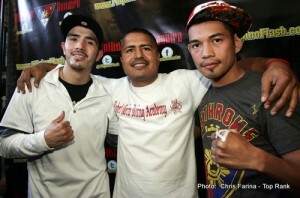 The talented fighter will also discuss his move to Oxnard to train with Robert Garcia. 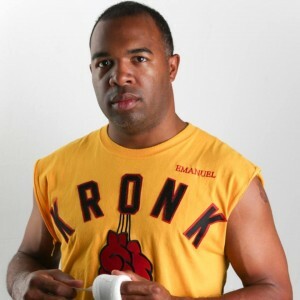 Tonight’s two hour program will be hosted by producer and radio commentator James E. King III, and boxing writer and ring announcer Joseph Herron.